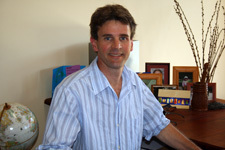 I founded Dawn Latex Beds in 1986. I was just 21 years old.It took courage and dedication. With virtually no financial support I had to really back myself that against all odds I could do it. Now 32 years later, I look back on my humble beginnings fondly and with gratitude for the youthful enthusiasm which inspired me to get to where I am today. I have always believed that if you work hard, consistently strive for the best quality and always put your customers first you are guaranteed success. My passion is working with beautiful woods, making only top quality furniture that customers can enjoy for their whole life time and pass to future generations. Our highly durable Latex Mattresses match perfectly the longevity of all our bed frames and furniture products. My passion for high quality manufacturing ensures all the products are made to the highest possible standard. Quality customer service is also paramount. From the first moment the customer contacts us and then right through the whole process of selecting the right bed, we guarantee you the best and most attentive service. Call us now on 1800 822 681 and experience the difference our knowledge and expertise can make. Inner spring mattresses and their ensemble platforms have not significantly changed over the last 100 years. The standard is a steel spring support structure, padded over both sides with thick synthetic, petroleum based foam layers. This is then further covered with a variety of synthetic materials to encase the mattress. In addition pillow tops made also from synthetic materials are frequently used. Pillow tops in my opinion can be a particularly bad choice for two reasons. Firstly, because they are made from synthetic firers that are often very hot to sleep on and secondly they can compress quickly, distorting the sleeping surface of the mattress. Synthetic materials don’t breathe. This reduces your sleeping comfort and has a negative impact on the hygiene your sleeping environment. Synthetic materials contain many chemical ingredients which are not only bad for your health, but can also harm the environment. Spring mattress construction is often too rigid. The design is always based on a fixed and enclosed box construction that offers zero independent support and adjustments for your personal preference. They can also be noisy causing sleep disturbance, to either you or your partner. By comparison, our Latex Mattresses have 100% breathability. They are 100% natural and biodegradable, making them easy to recycle. They resist compression and are flexible and responsive to your individual needs. They are hygienic and cannot harm you or the environment. Posture Slats are upward curving laminated timber slats. 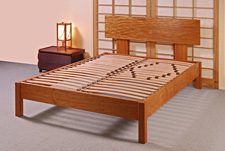 Designed in Europe, the wooden sprung posture slat was developed over 50 years ago after research showed that metal springs may have a negative impact on sleep health. This led to a revolution in sleeping products. Today, millions of people sleep on Latex Mattresses with posture slat support systems, especially in Europe where they constitute over 80% of new bed sales. We have made significant improvements to the basic posture slat system, in both materials and added features, ensuring a world class Latex Mattress support system. The posture slat systems are fitted to open frame constructions, ensuring better breathability. Access is unrestricted so maintenance and cleaning become easier. Also, the slats are easily adjusted so that each person can fine tune their own support system. The increasing popularity of Posture Slat supports required a mattress to complement them. The Natural Latex mattress, featuring breathability, flexibility and durability created the perfect match. Our Latex Mattress has a unique split density latex core, which provides for individual needs on each side of the bed. 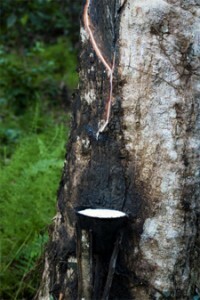 The Natural Latex Mattress is created from milky white sap, extracted from the bark of the Rubber Tree (Hevea Brasilensis).Christoper Columbus came upon this amazing rubber material as far back as 1493 when he witnessed Haitian natives playing games with balls made from the sap. This ingenious gift from nature has been widely used for various purposes through the ages. Natural Latex Mattresses were initially produced by the Dunlop Rubber Company early in the 1930’s. However, after WW2, the natural rubber supply was restricted and the Latex Mattress market declined. Its resurgence followed the popularity of the posture slat support bases. 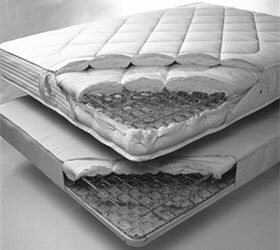 Recently, Natural Latex Mattresses have become a popular and reputable option in the bedding industry. Since 2000, the market for Natural Latex Mattresses has boomed and continues to grow significantly each year. Whilst the Dunlop Process has been refined over time, the Natural Latex Mattresses we make today still use the same principles with only pure 100% natural latex polymers.